The following steps describe how to install Office on a PC (laptop, desktop, or 2-in-1). To install Office on a Mac, seeDownload and install Office 2016 for Mac.Are you reinstalling Office or installing Office on another computer? 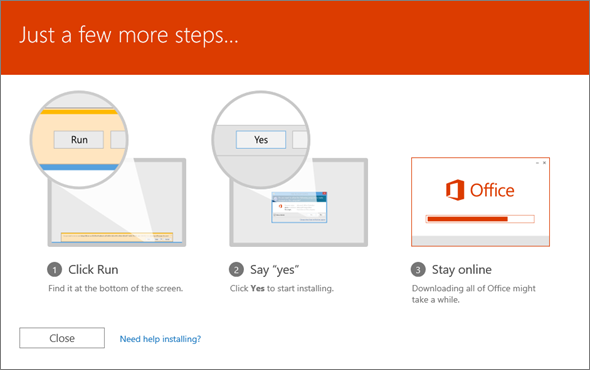 If so, go directly to Step 2: Install or reinstall Office from My Account. Before you install your copy of Office for the first time, you need to redeem it. The way you redeem Office depends on how you got it. NOTE This step assumes you’ve already redeemed your product key and associated Office with a Microsoft account. If you haven’t already done that, see Step 1 – First time install: redeem Office and associate it with a Microsoft account. IMPORTANT If you sign in with a different email address and password, the My Account page will tell you this account isn’t associated with any Office products. Sign out and then resign in with the Microsoft account associated with your Office 365 subscription or your copy of Office 2016 or Office 2013. 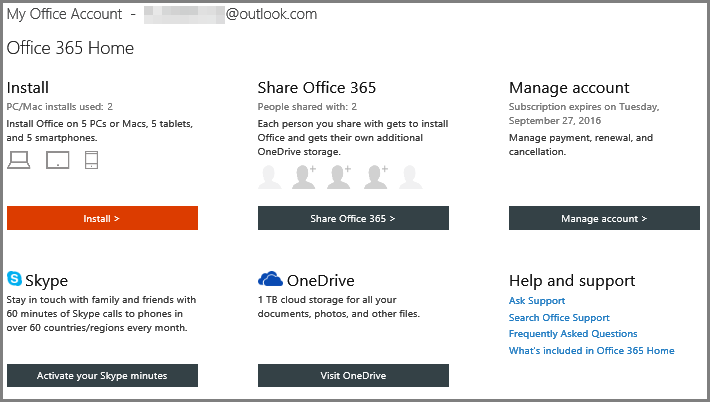 This is the account you used when you set up Office in Step 1 – First time install: redeem Office and associate it with a Microsoft account. In the Install Information section, select Install.By default, this will install the 32-bit version of Office on your PC using the language you selected when you redeemed the product. If you want to install the 64-bit version, change your language, or choose other options, see the section below, Custom install options. TIP If the Install button is greyed out or isn’t working, see Install button doesn’t install Office. 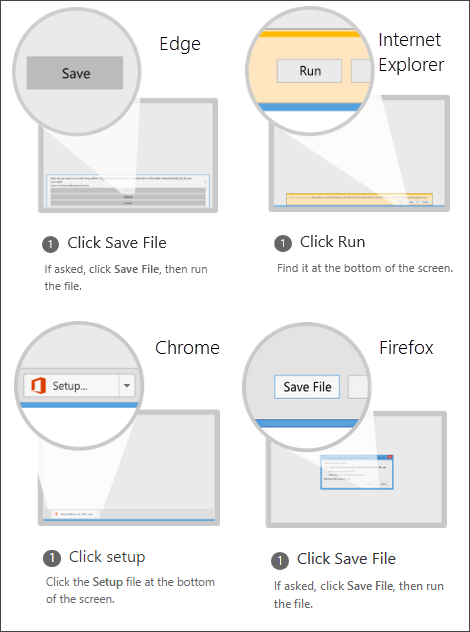 Depending on your browser, go to the install pop up that appears and click Run (in Internet Explorer), Setup(in Chrome), or Save File (in Firefox). If you have Office 2013 products on your PC, see Error: Stop, you should wait to install Office 2016. We’ll have to remove the following if you continue.. If you have a mail account connecting to Exchange Server 2007 or earlier, see Error: Stop, you should wait to install Office 2016. You won’t be able to receive mail from a current mailbox. Click Yes to start installing. During the download process, you can watch a video to learn more about Office. When you see “You’re good to go”, choose All done. TIP After installing, you can start to use your Office applications. If you can’t find the applications, learn how to find the Office applications that you just installed. If you got an error message while trying to install Office and it has a Learn More link, select it to get information on how to troubleshoot the problem. How do I use the Office 2016 offline installer? If none of these solutions worked, see Troubleshoot installing Office and Office 365 for additional options. Use the table below to see what custom Office install options are available for your Office product and how to install it.